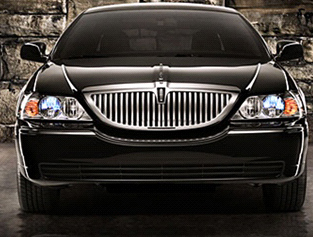 If you’re looking for high quality Tampa limousine services, look no more. At Executive Car Services we’ll make sure you get that professional and affordable limo rental in Tampa. We offer the best in transportation services and the best prices in the industry at Executive Car Service. Let us put our professional and experienced drivers to work for you. Call now for your special rate on any of the following services. Taking an important client around to business appointments, luncheons, or large corporations, conventions, as well as serve regular corporate meetings. Corporate Cars for one or many persons. Optional Corporate Car account available.Opening an account with Executive Car Service makes ordering your transportation and keeping track of your expenses easier. Call for pricing and special rates. Airport Transportation from Tampa to any location, or taking the family to the beach, theater, dinner, or Disney. We provide Private Car, Executive SUV, Mercedes Sprinter Limo Bus and private Party Bus transportation to any location, Tampa, all of Florida and the USA. We are here to serve you with excellence. For more information about our Tampa airport limo service, & Executive Car Services call us today. We would love to answer any questions you may have about our services. Call or Contact us for pricing and special rates. Tampa, Brandon, Clearwater, Dade City, Plant City, Bradenton, Lakeland, St. Pete, Sarasota, Disney Limo Service, Zephryhills, Spring Hill and many other locations as well. Executive Car Services, Limo Service, Corporate Transportation, Airport Limo Service, Airport Transportation, Party Bus.